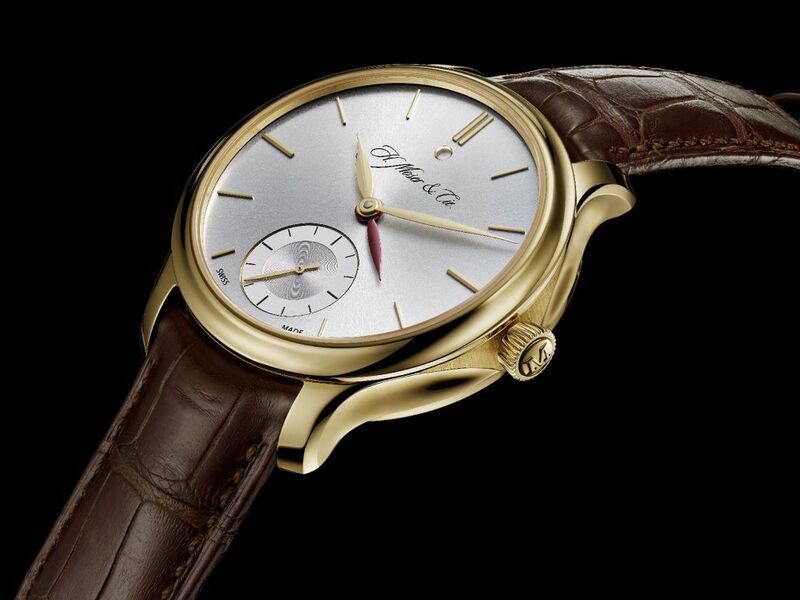 Unveiled at Baselworld 2013, this timepiece is evocative of distant horizons, inspiring an urge to travel and to dream. Featuring two time zones, the elegantly refined look of the Nomad sets it apart, opting for a sober display and optimum readability. Within the now emblematic Moser case, whose flanks exhibit freely formed surfaces with alternating polished and satin finishes, the Moser HMC 346 automatic movement drives the Nomad model. On the dial, silver-plated in the rose gold version and ardoise in the platinum model, appliqué indexes mark the passage of time. In addition to the hour and minute hands, a delicately faceted third hand – smaller and red – indicates the hour in the second time zone. Adjustable in one-hour increments at any time of day, this coloured hand may also be hidden under the hour hand if the watch owner does not need the dual time zone function. This brilliant touch adds a dash of dynamism to the classic look of the watch. 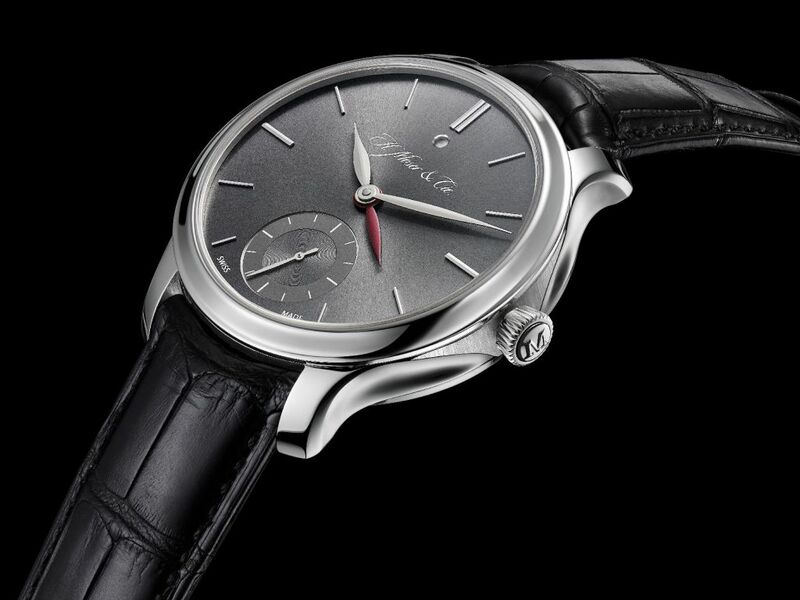 With this creation, the watchmakers at H. Moser & Cie. opted for simplicity: simplicity in terms of aesthetics, and also the mechanism, enabling adjustment of the second time zone hour. Thanks to the patented Double Pull Crown system, the adjustment may be made using the crown, without any risk of inadvertently stopping the watch or altering the primary time. Out of the same concern for simplicity, there is an AM-PM indicator at 12 o’clock. Linked to the wearer’s primary time zone, this indicator changes from white to black in a fraction of a second, at precisely 12 noon, and then from black to white at midnight, thanks to a spring that stores up energy for approximately eight hours, without affecting the rate at which the watch runs. This makes it easy to keep in touch with your home time, which may be read in the conventional way. Off-centre at six o’clock is a sub-dial framing the seconds hand, reminiscent of the look of traditional pocket watches. The direct-drive hand on this dial marches steadfastly through the seconds to mark the passage of time.Equipped with a sapphire crystal, the transparent case-back reveals the in-house manufactured automatic calibre HMC 346, one of the largest on the market with a diameter of 34 mm, so that you may admire the imposing oscillating rotor made from 18-carat gold adorned with the Moser company coat of arms, which has been used for more than 185 years. The great inertia of this rotor, combined with a very large barrel, provides a minimum power reserve of 72 hours, a remarkable performance for an automatic watch of this size. The calibre HMC 346 is equipped with an in-house H. Moser & Cie. escapement module. As a final refinement, the strap is made from hand-stitched alligator, brown for the rose gold model, and black for the platinum version. It is equipped with a pin buckle for absolute comfort. The Nomad Dual Time will fuel the dreams of experienced travellers, and spark the urge for discovery in those more settled. Hand-stitched brown or black alligator Solid 18-carat rose gold or 950 platinum pin buckle, with engraved Moser logo.